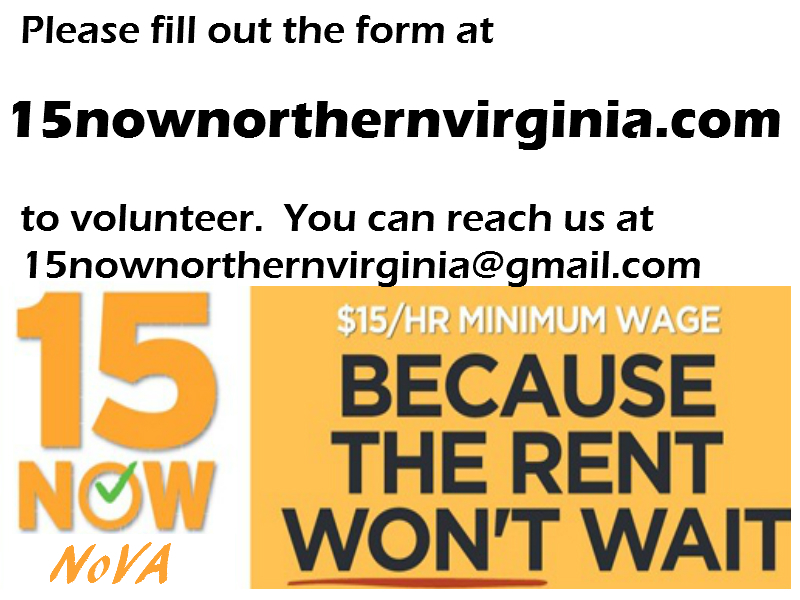 The NoVA Greens have formed an almost official coalition with Socialist Alternative DMV, it is through this joint effort we are launching the *non-partisan* 15now campaign. This is non-partisan because we are reaching out to other parties and other orgs for them to be involved in the leadership structure as well. This entry was posted in Uncategorized on September 11, 2016 by Farzad Mansouri.